If you ever need dessert in a hurry then this recipe is for you. The other day I invited some friends over for dinner on the spur of the moment but didn’t have time to muck about with anything too complicated for dessert. It was already six in the evening so I need something that was easy and that I’d have all the ingredients for at home. 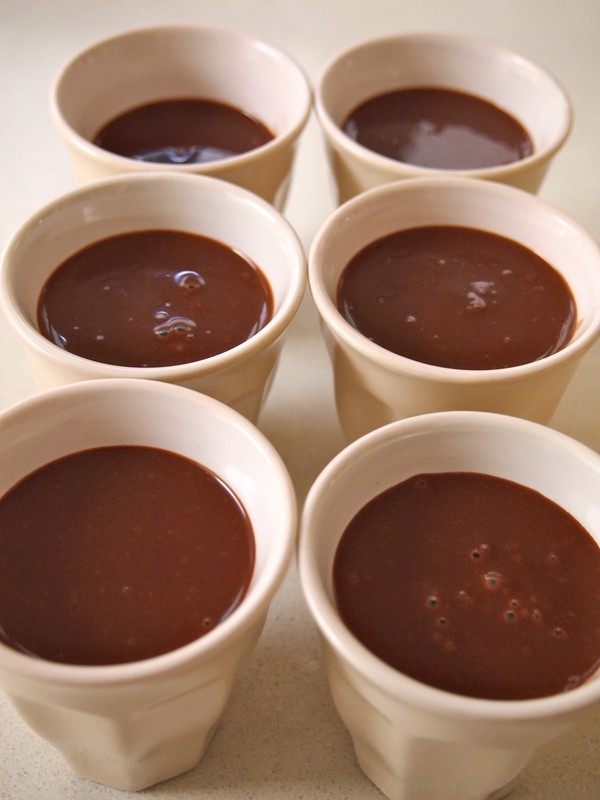 These chocolate pots literally take five minutes to make, it does then need to sit in the fridge for a while to set, two hours would be great but I think even one hour would suffice.. You could even whip this up before you leave for work, pop it in the fridge and dessert for that mid week dinner with friends is taken care of. 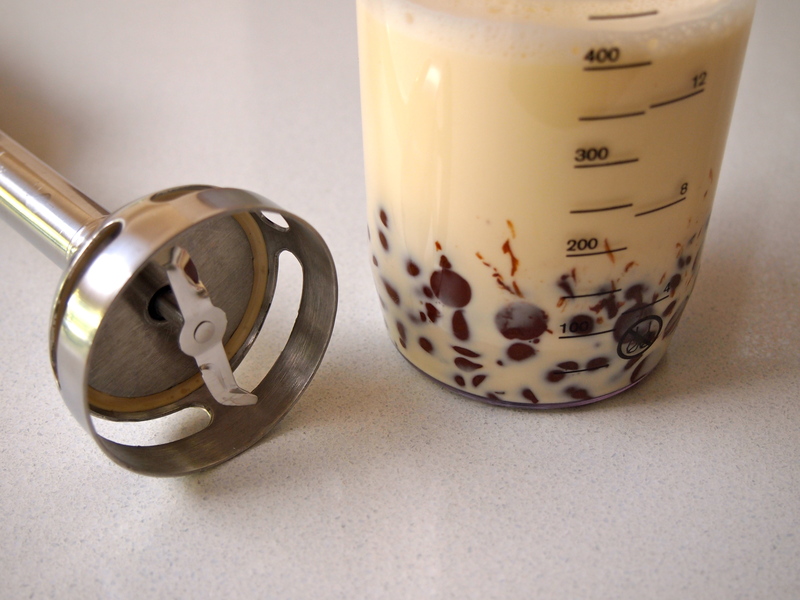 In a small saucepan, combine the cream and milk and bring to a simmer over moderate heat. In a small bowl, beat the egg. Slowly whisk 1/2 of the simmering cream into the beaten egg, then whisk the mixture into the cream in the saucepan. Cook for 30 seconds, whisking constantly. 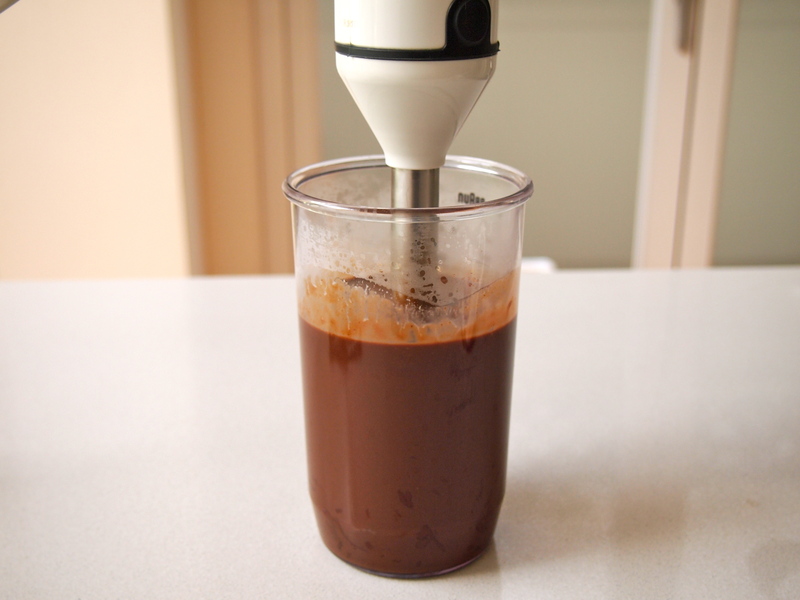 Put the chocolate in a blender or if you’re using a hand blender a tall container. Pour in the hot cream mixture and let stand for 3 minutes. Blend until smooth, about 30 seconds. Set 6 espresso cups on a baking sheet and fill them with the chocolate cream. Cover and refrigerate until chilled and firm, about 2 hours. 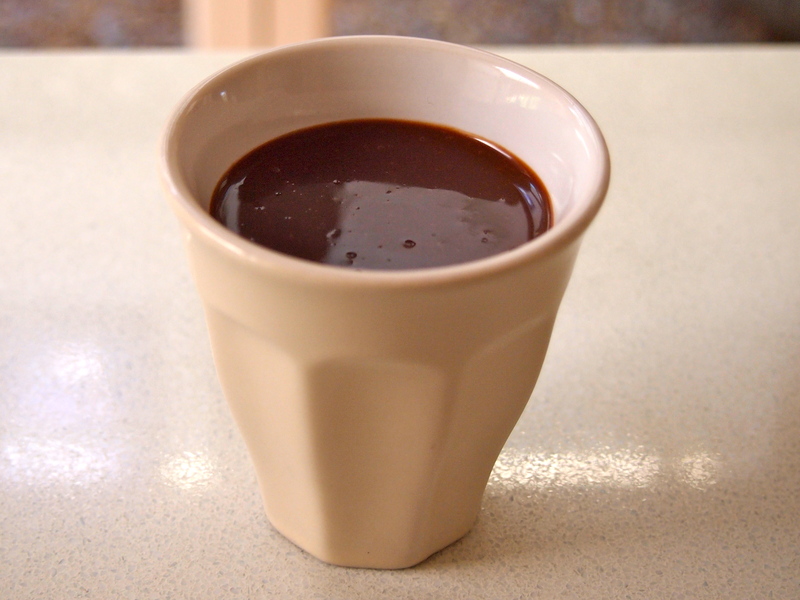 The chocolate pots can be refrigerated for up to 3 days. As easy as the menu says. Great little desert. Hi Shirin – I made this recipe but put it in a prepared graham cracker pie crust. The consistency was not right for a pie, but the flavor was delicious. Tasted like melted Hershey bars! Happy holidays to you and Glen!